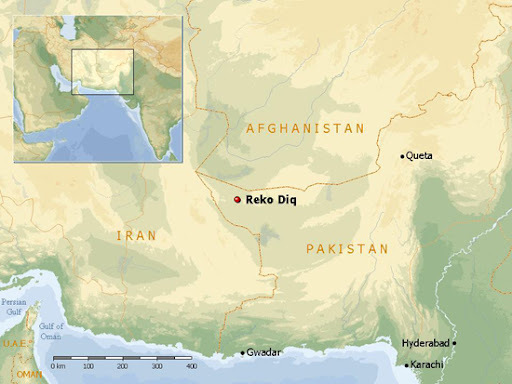 largest Gold and Copper reserves are found in Reko Diq. Tethyan Copper of Australia has taken the contract to develop this mine. joint-ownership of the copper-gold deposit at Reko Diq. Ltd (75%) and the (BDA)Balochistan Development Authority (25%). Now the question is why Pakistani media and Govt is silent about it? Why it is being kept a secret from Pakistani Nation? the group, spun out from Perth-based nickel producer Mincor in 2003.
recent sell-off in copper explorers. million tonnes of copper and 9 million ounces of gold. 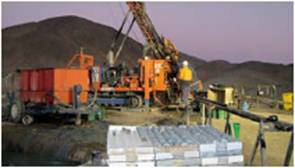 Work at Reko Diq - a BHP Billiton discovery in the 1990s - is well advanced on a "starter" project on the H4 copper deposit. game at the remote desert-at-altitude location will be a "mega"
project, as Tethyan likes to put it, costing several billion dollars. Crosby noted that Reko Diq was in a very early stage of development, without a completed bankable feasibility study.